The end of 2018 is almost here! Have you created a back-up of your PigCHAMP database lately? All it takes is a few clicks! We strongly recommend that you do this regularly, but especially at the end of the year. Once you've created your back-up, send it in to be a part of our Benchmarking program! It's a free service for our customers. You'll get a customized report that benchmarks your farm against the other participants. Find out more here or email benchmarking@pigchamp.com. Coming to a Tradeshow near you! 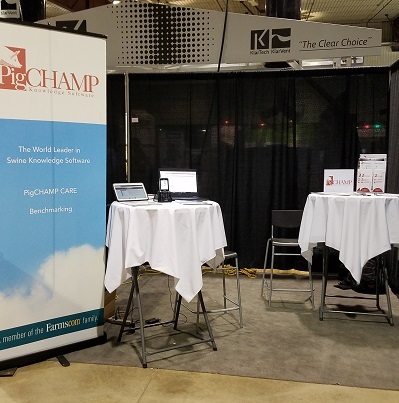 We just got back from the Brandon Hog & Livestock Days in Manitoba last week and are now gearing up for all of the tradeshows we'll be attending in 2018! We've added a handful of new stops to the calendar this year. Check out our events page to find out when we'll be at a show near you! We look forward to seeing you! We've added a new team member to the Ames office! 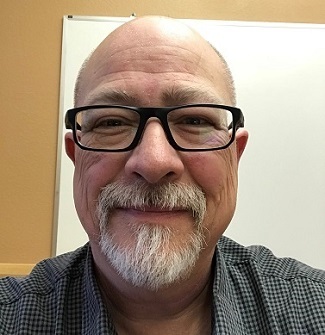 Jeff Underwood joined the PigCHAMP team as Technical Support Coordinator earlier this month. He has over 25 years in the IT field and is a former U.S. Navy Radioman. Jeff with be working as part of the support team answering phones and emails with any questions you might have. Need a 1000 day calendar for 2018? We have a stack in our office and would be happy to mail you one! 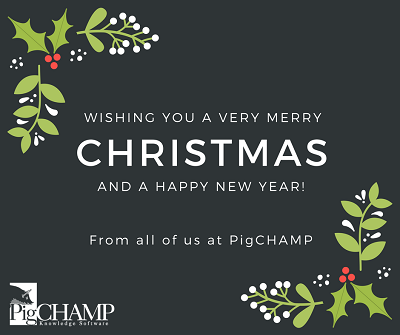 Please email at info@pigchamp.com with your name, address and the number of pocket calendars you would like. We will get them mailed out to you ASAP.